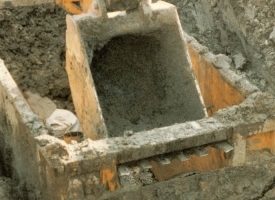 Are All Trench Boxes Created Equal? 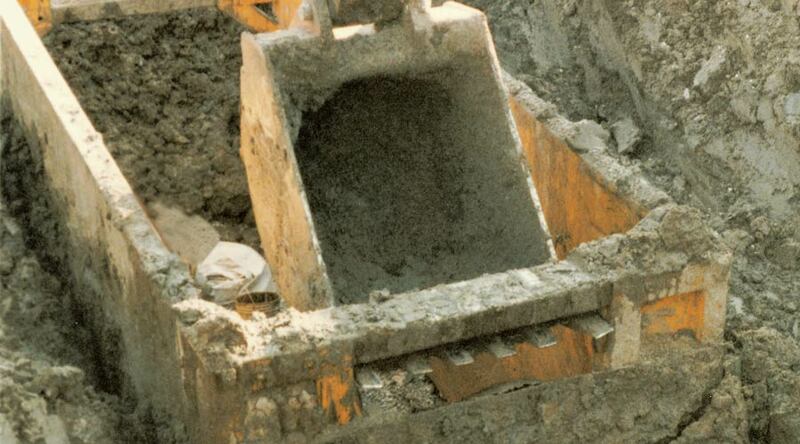 Hardly. 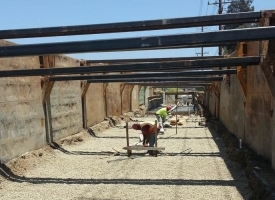 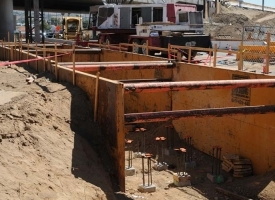 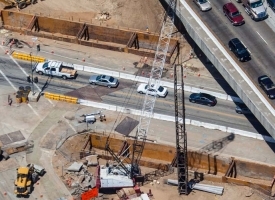 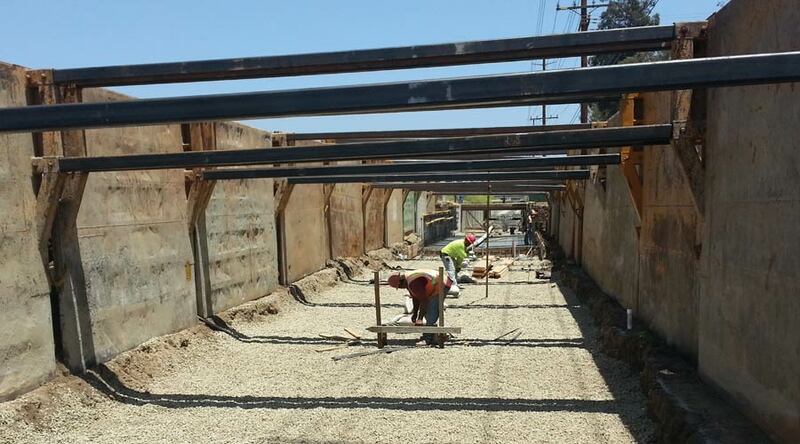 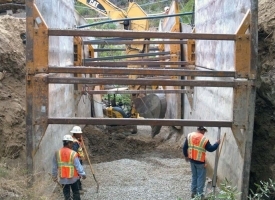 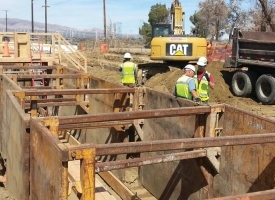 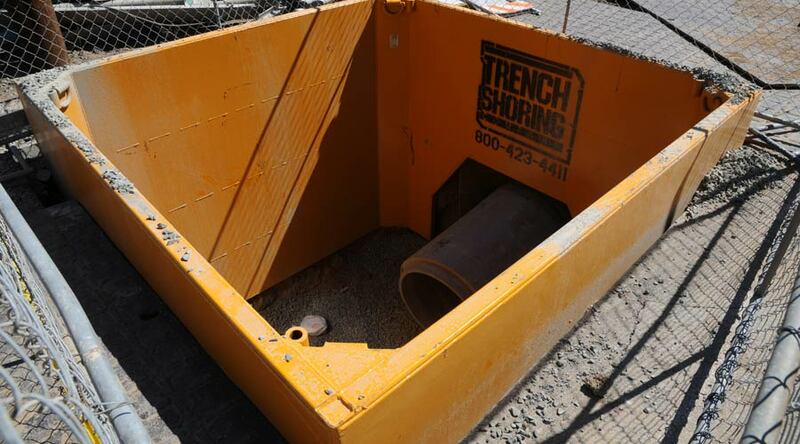 Other manufacturers' trench boxes are built with straight sidewalls that bow in under pressure when they are in the ground, making them almost impossible to pull. 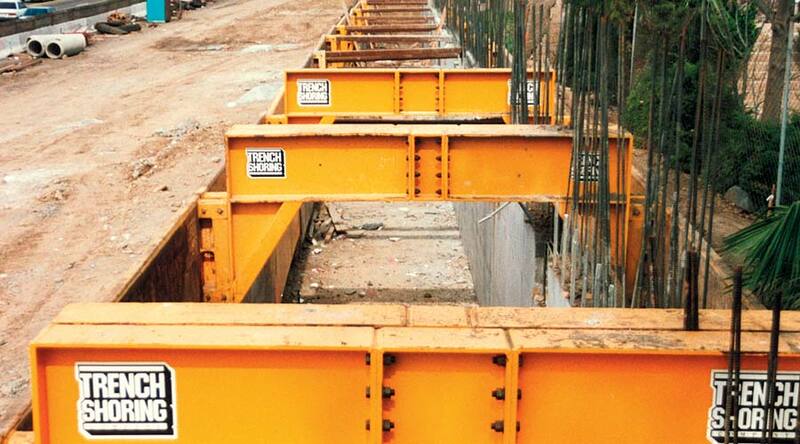 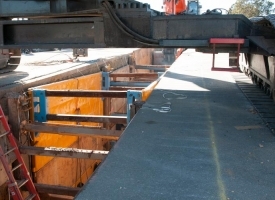 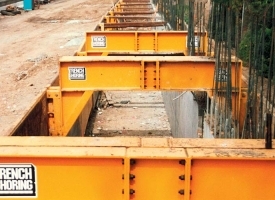 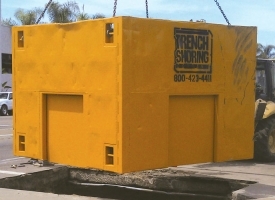 Trench Shoring Company's unique flex-Shield trench boxes are the only ones with a mid-section camber, making the box inches wider in the middle. 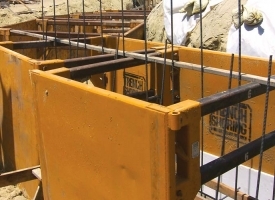 When Flex Shield is in the ground and under pressure, its sidewalls become straight. 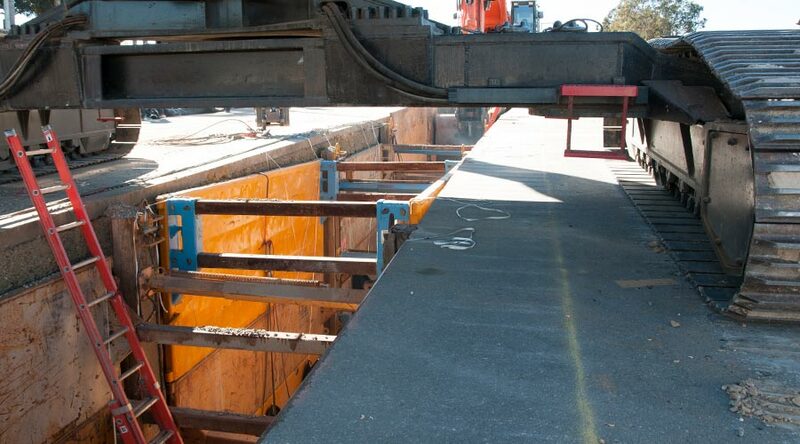 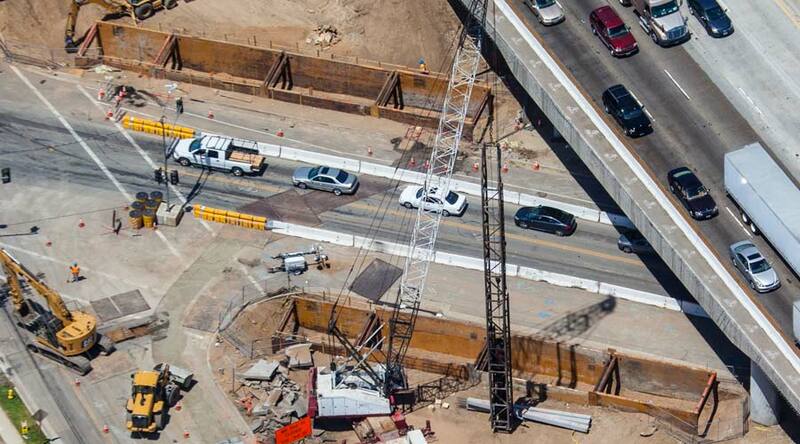 The result: ease of movement on those deep, tight, hard-pulling jobs. 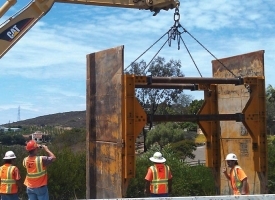 The Flex Shield actually feels self propelled as it flexes. 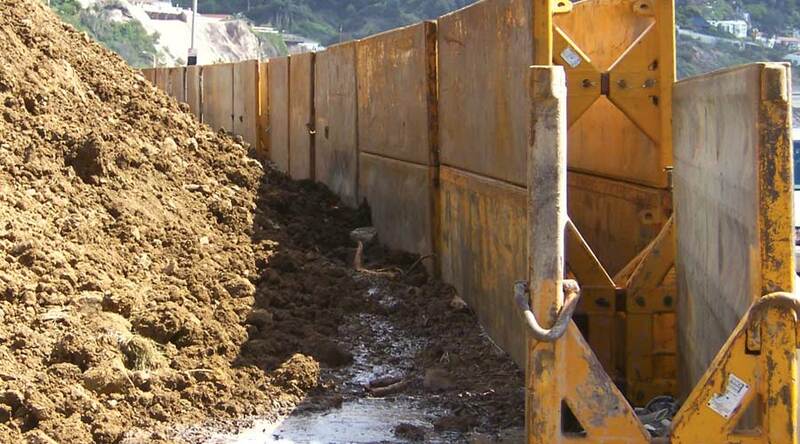 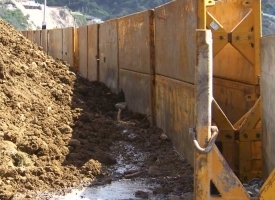 Flex-Shields are constructed with the narrowest possible sidewalls, so less soil has to be excavated and there is less backfill and compaction. 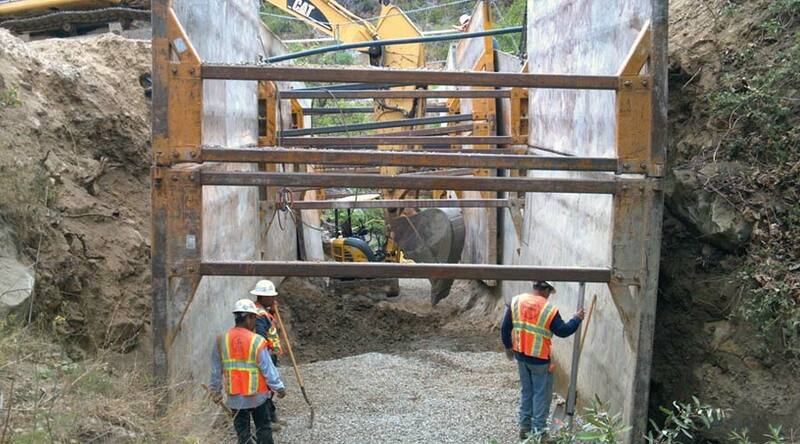 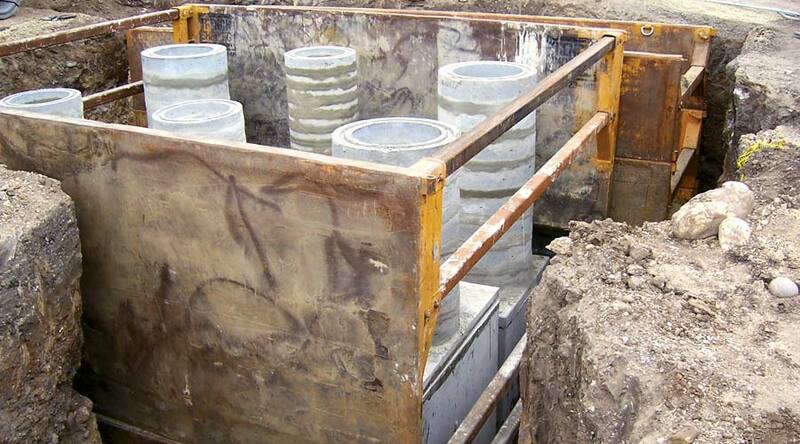 Flex-Shields are built to give the highest pounds per square foot (PSF) for use in the deepest trenches. 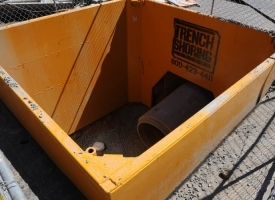 By eliminating the knife edge found on the bottom of many trench boxes, the Flex-Shield can be used in any configuration when stacked in deep trenches. 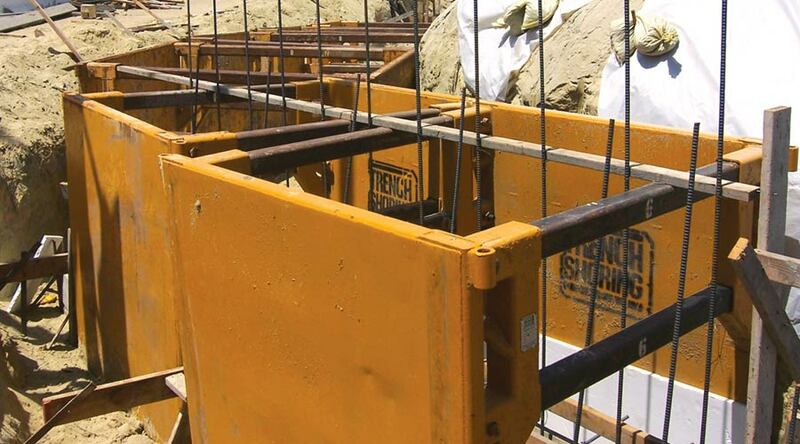 Both standard and custom Flex-Shields are designed by a Registered Civil Engineer in conjunction with Trench Shoring Company specialists. 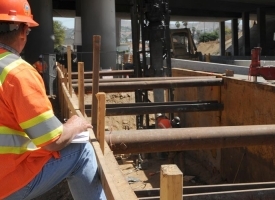 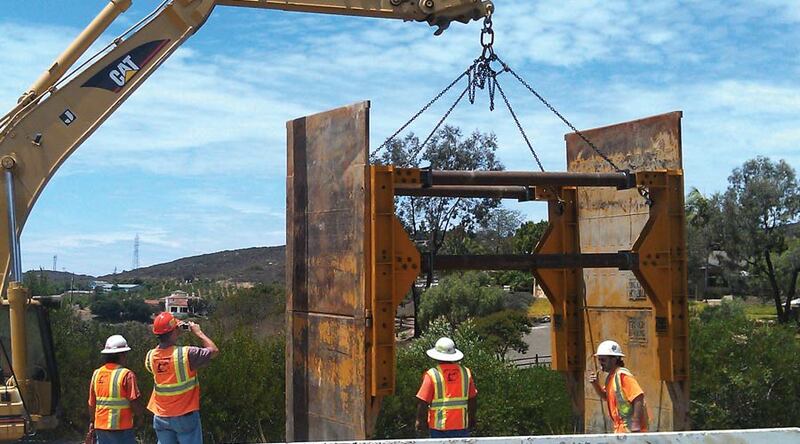 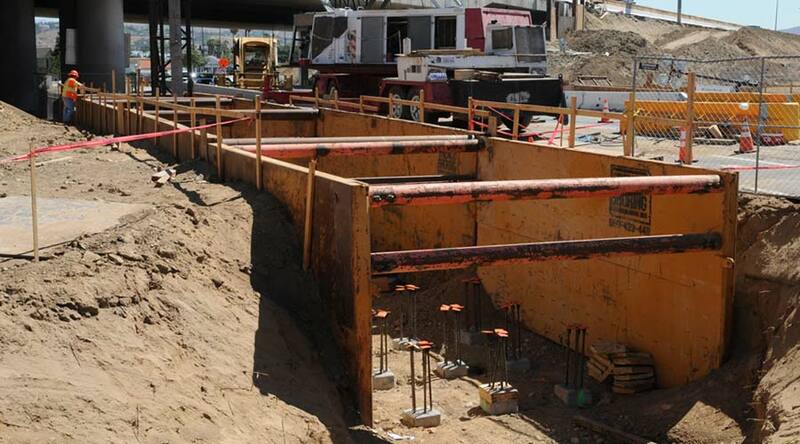 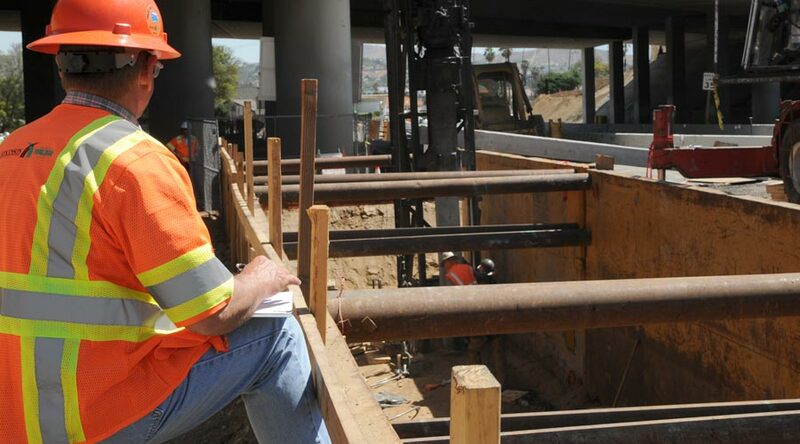 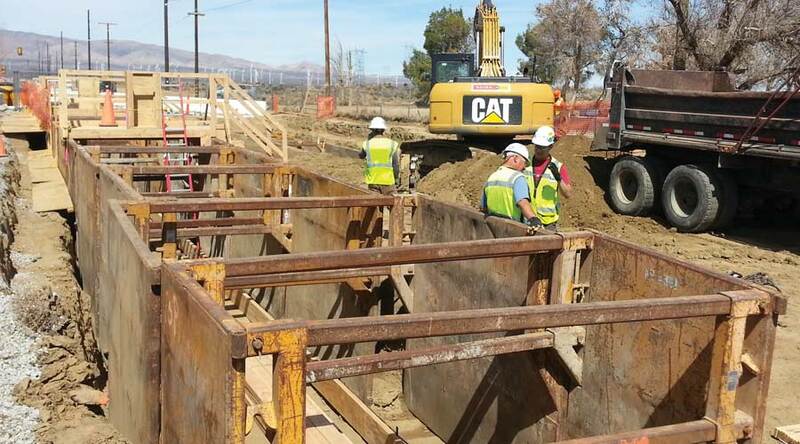 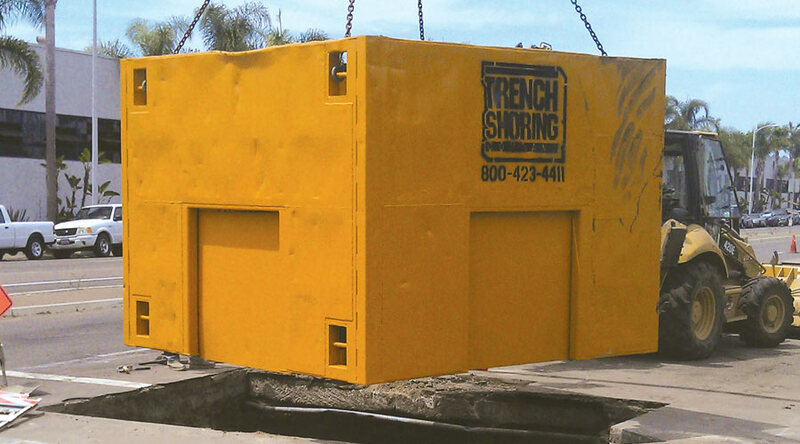 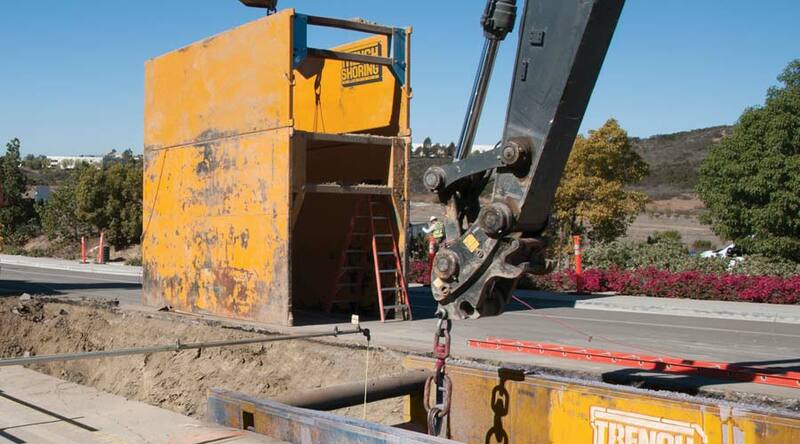 Trench Shoring Company Manhole Boxes provide four wall protection for the ultimate in worker safety. 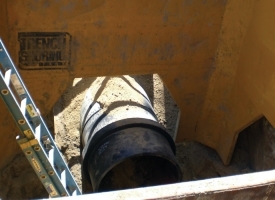 Specially built for manhole installations, tie-ins and repair work, manhole boxes provide the flexibility you need with the protection OSHA requires. 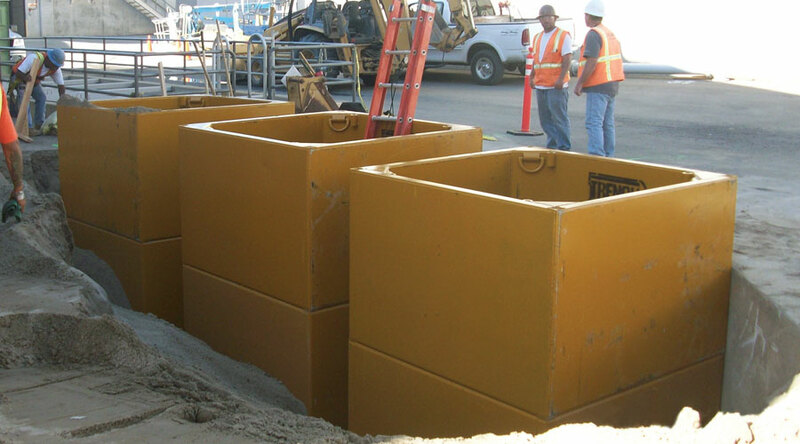 Manhole boxes are available in 4’, 6’ and 8’ heights and come either 8’ or 10’ square. 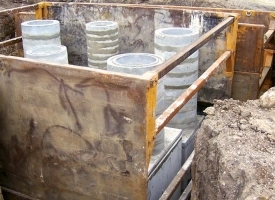 Manhole boxes are available with solid sides or cut outs at the bottom. 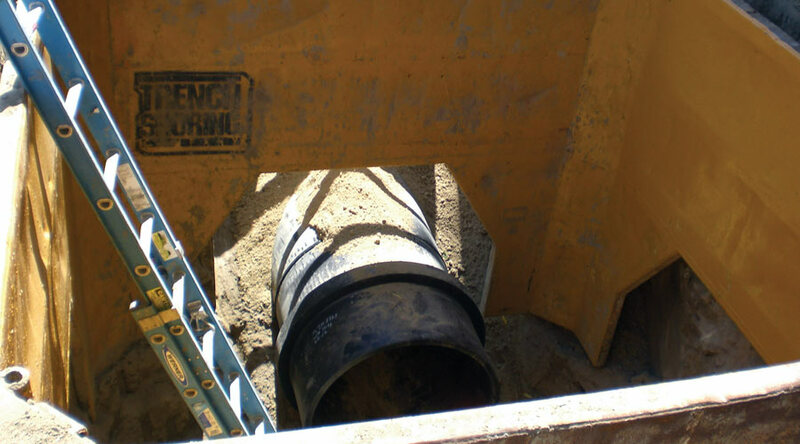 Specially built for manhole installations, tie-ins and repair work. 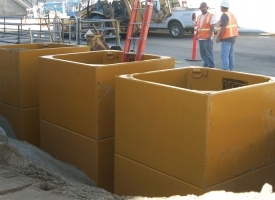 Manhole boxes can be stacked in combination with Flex-Shield boxes for unique applications.